I am heading to the South Jersey coast (Ocean City area) for a hunting trip last 2 weeks of the year. First trip to hunt Brant and ducks in bays & tidal marshes. Any tips from those experienced in the area would be helpful. I hunt there. There are many banded waterfowl in that area. Be careful with the brant. The limit is only 2 and they fly close together in big flocks. Always pick out a single bird away from the others. Game wardens will be watching you. There is a huge tide there. Many tidal creeks and parts of the bays are not navigable on low tide. Learn about blowout tides and moon tides before you go out in a boat alone. 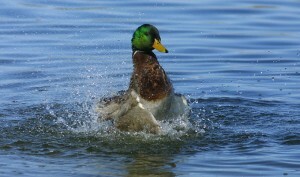 Black duck limit is only 1 and most of the ducks are American black ducks. Have fun and be safe. Thanks for the tips. 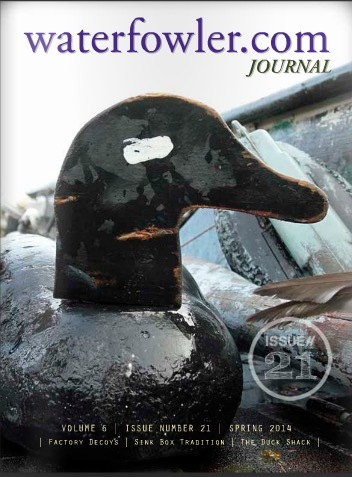 I just got my order of Brant decoys so getting excited. I am going out with my brother in law who is a boater in the area to keep me out of trouble with the tides. Hope you have a good season and I will let you know how I make out in January. I had a great trip to the south Jersey marsh between Christmas and New Year. I saw a lot more ducks than i anticipated: Bufflehead, Bluebills, and Blacks with the ever present Brant (I limited out on them every hunt). My first experience on the marsh and i only got stuck once at low tide! 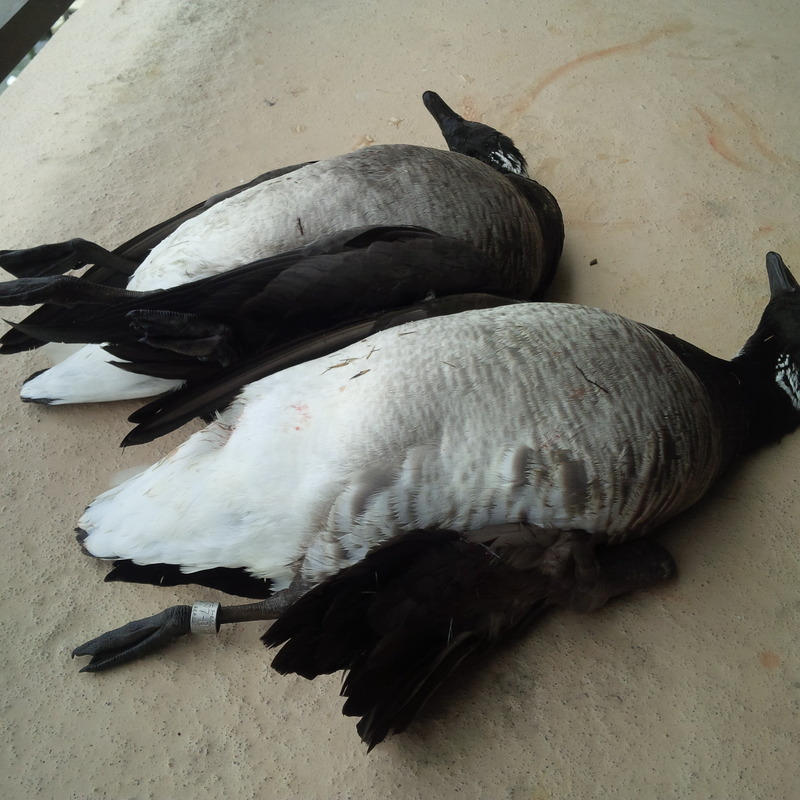 Highlight was a banded Brant shot on the last day. I will definitely be making this trip every year from now on. Congratulations on that band! Well done. 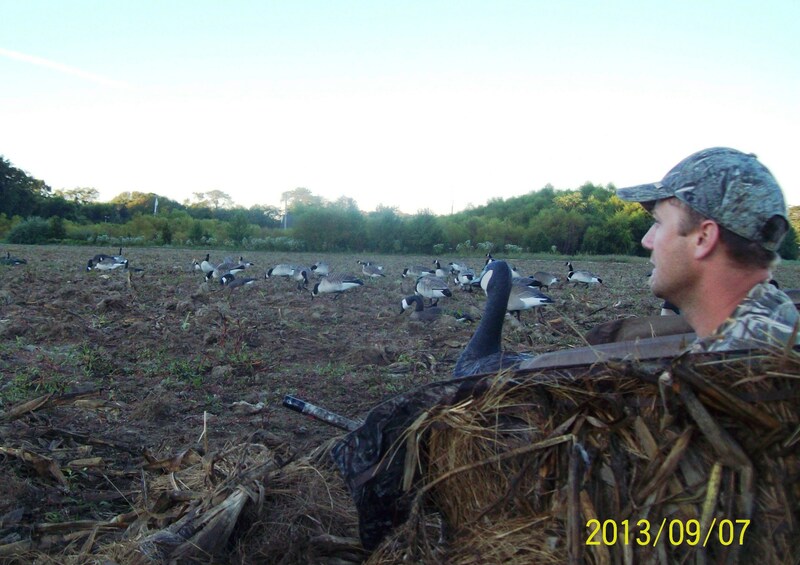 Sept goose season is always the same – you have to be where they want to go or you wasting your time. Opening day on Monday, we didn’t hit our limit of 75 but we did laydown 69. Saturday we went to he same field and only one came in and never left. Where did they go? A farm between us and the roost cut and disked a field wednesday … no need for them to travel. Thanks Jaybird for the invite and job well done on securing the fields. 69? That’s a lot of jerky for the coming season. 🙂 Way to stack them up Ray.